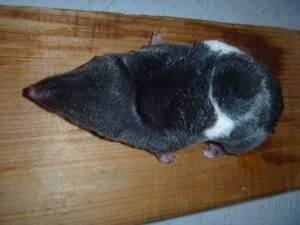 These are pictures of an animal that got caught in a mousetrap that I had set in our porch. 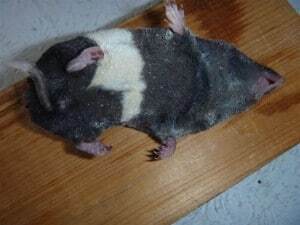 I have seen many mole-like animals, but never before one with this colouring. Is it an anomaly or a different species or subspecies?